He [Ondrej Strejcek] had extensive knowledge of all the five countries that we visited and had complete answers to all of our questions. This was a wonderful trip and we will travel again with AB due to this experience. Thank you very much. Robert (tour leader) was attentive, considerate, extremely knowledgeable and well engaged with participants; personable and pleasant at all times.The Local guides were knowledgeable and articulate, I particularly enjoyed the humour of guides in Vienna and Chesky Krumlov. Robert (tour leader) was especially well suited for this tour. He was thorough and had a lot of inside information. He was always available to answer questions, gave great explanations about each country, and was very responsive to the group. He communicated clearly and was most considerate every day. After WWII, a reconstruction campaign by its citizens resulted in today's meticulous restoration of Warsaw's Old Town with its churches, palaces and market-place. It is an outstanding example of a near-total reconstruction of a span of history covering the 13th to the 20th century. Warsaw has shrugged off its dour Eastern Bloc image, and is finally showing its true colours. The vibrant heart of the largest country in "New Europe", Warsaw is now poised to make is presence felt as a business and cultural hub. We begin our sightseeing today with a drive along the Royal Route and a brief orientation drive around the city before beginning our walking tour of the Old Town, a UNESCO protected site. We visit Castle Square, the Uprising Monument, and then drive over to the Praga area for a view of the river. From there go to the Jewish Ghetto area and to Umschlag Platz. We also visit the Warsaw Uprising Museum, dedicated to the Warsaw Uprising of 1944. The museum sponsors research into the history of the Uprising, and the history and possessions of the Polish Underground State. It collects and maintains hundreds of artefacts, ranging from weapons used by the insurgents to love letters, in order to present a full picture of the people involved. 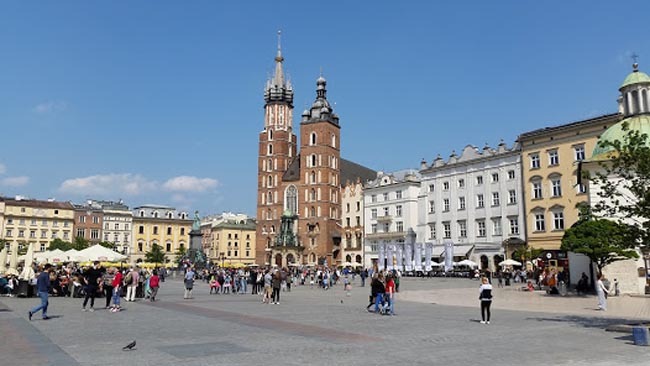 We leave for Krakow via Czestochowa, the "spiritual home" of Poland where pilgrims from every corner of the country come to Jasna Gora (Luminous Mountain) Monastery to worship the image of the Black Madonna, Poland's most important icon. Legend says that the icon was painted by St Luke the Evangelist on a piece of cypress wood from the table used by Mary in Nazareth. The icon was brought from Jerusalem and installed in the monastery around 1384. The rest of our sightseeing in this area is important for understanding the complex nature of the region's history. We visit the Oswiecim (Auschwitz) and Brizinka (Birkenau) Nazi concentration camps preserved as memorials to the 1.5 million people of 28 nationalities who perished here, the overwhelming majority of whom were Jewish. We continue to Krakow. Krakow is very compact, and the whole central region with its cobblestone streets is full of well-preserved architecture, Gothic churches and splendid museums. On our sightseeing tour (largely on foot at a leisurely pace) we visit Wawall Hill with the Royal Castle, Market Square, and the 16th century Renaissance Cloth Hall. We continue onward to Jagiellonian University and St Mary's Church with the Wit Stwosz altar. This was designed in 1489 by Wit Stwosz of Nuremburg and is the finest sculptural work in Poland. We then stroll down the hill from the castle complex and enter the Old Town, one of the most famous old districts in Poland and the center of Poland's political life from 1038 until King Sigismund III Vasa relocated his court to Warsaw in 1596. The entire medieval old town is among the first sites chosen for the UNESCO's World Heritage List. The district features the centrally located Rynek Glowny, or Main Square, the largest medieval town square of any European city. There is a number of historic landmarks in its vicinity, such as St. Mary's Basilica (Kosciol Mariacki), Church of St. Wojciech (St. Adalbert's), Church of St. Barbara, as well as other national treasures. Your afternoon is free to further explore this beautiful city. There are many cafes and pubs, which are located in medieval basements and cellars with vaulted ceilings. Obwarzanki (English: bagels) are undoubtedly a symbol of Krakow. On the Square there is a bagel seller every few steps. Today we travel to the Wieliczka Salt Mines. On our 5km (3 mile) journey below the earth's surface we will see the saltformed caves and grottoes, a subterranean lake and a chapel with statues carved from salt. The mines' 11 levels of galleries stretch 300km (186 miles), and some 20,000,000 tonnes (22,000,000 tons) of rock salt were extracted over 700 years. According to local legend, the deposits were discovered in the 13th century by a Hungarian princess named Kinga, whose lost ring was found in a block of salt extracted here. 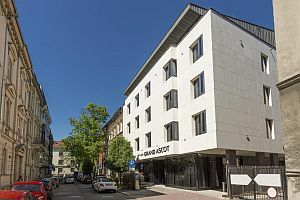 We also visit the museum associated with Oskar Schindler's factory made famous in Steven Spielberg's epic 'Schindler's List', before returning to Krakow with the balance of the day at leisure. A full day of travel today takes us from Krakow to Eger in Hungary. We first pass though the very south of Poland. 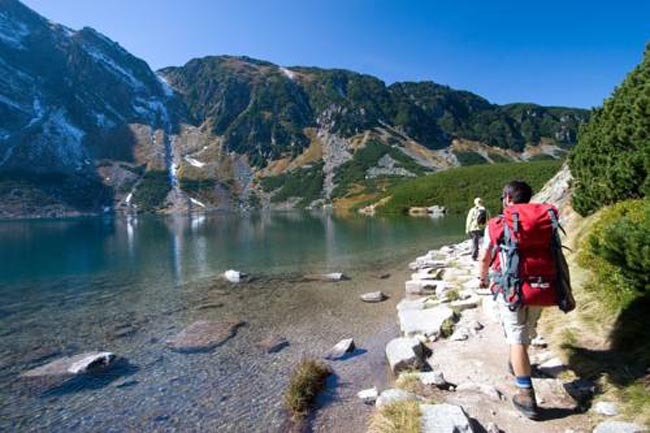 Nearby is Zakopane, nestled at the base of the Tatra Mountains. Steep peaks towering 1800 m (6,000 feet), roaring waterfalls, beautiful lakes, and a wide array of wildlife are features of this resort destination. From here we will travel through the scenic Tatras Mountains, located in both Slovakia and Poland, en route to Hungary. We will have lunch in Slovakia, and then continue through the picturesque landscapes as green hills and tranquil river valleys gradually give way to the sweeping plains of Hungary. 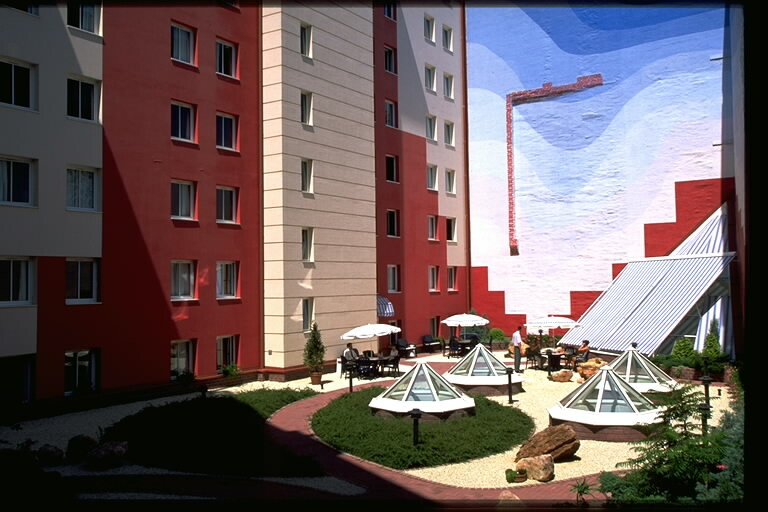 Our destination for the day is Eger, situated in the Eger Valley between the Bukk and Matra Hills. Eger is famous for the strong red Bull's Blood (Egri Bikaver) wine that gave them courage, for its medieval library, and for the northernmost minaret in Europe. There are still many accessible sites and much charm to the narrow streets, arcaded buildings, wrought-iron gates, and Baroque towers and domes of the Old Town. This is the perfect walking city with something interesting at every turn. 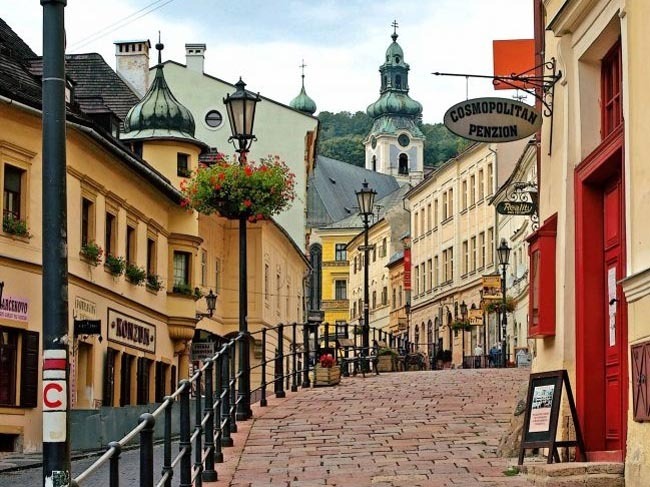 Situated in the valley between the lavender peaks of Hungary's highest mountains, the Matras, and the wooded Buk Hills, the natural backdrop for this city's historic monuments is superb. Overnight in Eger. Hotel Korona or similar. This morning we travel by road to Budapest. Along our way we will visit Holloko, one of Hungary's most beautiful towns. The small town of 650 people, with its two streets and nesting in a valley, is enchanting. What sets it apart is the Old Village where 50 houses have been listed and declared historic monuments. Holloko has been added to UNESCO's World Cultural Heritage list, with its preserved unique ethnographic and folk art values. The village is certainly picturesque with its cobbled streets and little white houses noted for the round tiles like giant coins that protect the interiors. From here we will continue to Budapest via Szentendre on the 'Danube Bend'. This riverside town of colourful buildings and cobblestone streets has been populated for over a thousand years. Today we find an array of wine cellars, unique museums, art galleries and shops... all providing a wonderful atmosphere. Time permitting, we may begin our sightseeing program with some on-foot touring. This morning we travel by road from Budapest to Bratislava. 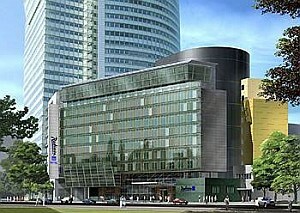 In the afternoon we will arrive in Bratislava, the capital of Slovakia. 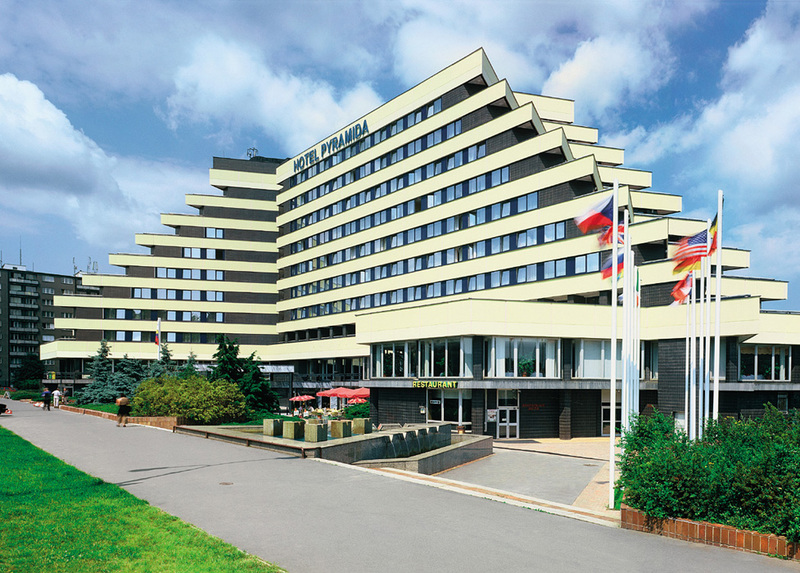 Bratislava is situated on both banks of the Danube and a promontory of the Little Carpathians. 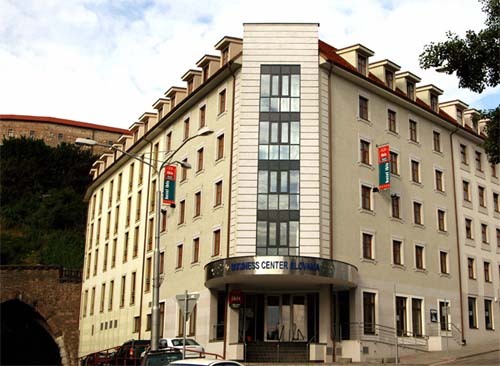 During the second half of the 20th century, Bratislava finally became a Slovakian city where an ambitious rebuilding and restoration program has transformed the city. The Romans were the first to have a watch post in Bratislava here above the Danube. 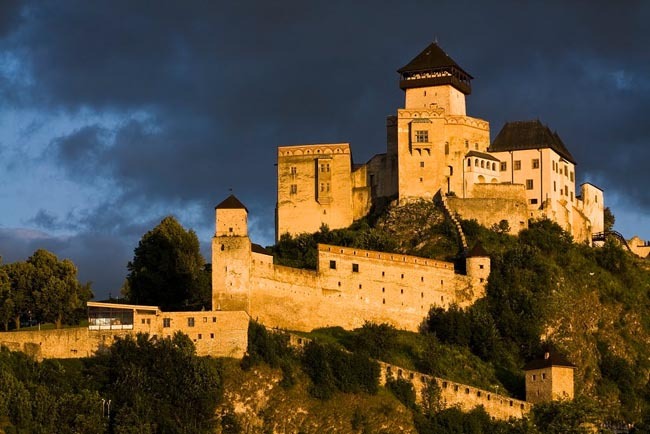 In the eleventh century, a fortified castle was constructed on the site to protect the Hungarian kingdom. In the twelfth century Holy Roman Emperor Frederick Barbarossa took control of the castle. In the fifteenth century, it achieved its real fame when King Sigismund ordered construction of a fortified Gothic castle here. When the Turks invaded Buda in 1541, this castle became the seat of the Hungarian government. In sixteenth-century Hapsburg days, it was rebuilt in Renaissance styles. In Napoleonic days, it is said that the Little Emperor watched the counterattack of the Russian and Polish armies after the Battle of Austerlitz from this site. But in Napoleonic times, a fire largely destroyed it. For 150 years it remained in a state of disrepair, until 1953, when the renovation that still continues got under way. Our half-day morning city BUS / WALKING tour takes us to the main sights of Bratislava, including the historic Old Town, the Gothic Cathedral of St. Martin and the 14th century Tower of St. Michael in the ancient city walls. The afternoon is free. Today we travel to Vienna, the Austrian capital. Vienna is a true cosmopolitan center, where different tribes and nationalities have, for centuries, fused their cultural identities to produce the intriguing and often cynical Viennese. Around 1900, Vienna was a city of vibrant, stimulating, intellectual life, a dynamic capital of elites that did pioneering work in many fields. Otto Wagner remarked in 1905 that "in spite of unfavourable conditions, Vienna is marching at the head of cultural nations". In a similar vein, international critics noted that Vienna was virtually unsurpassed in the sheer wealth of modern architecture that it had to offer at the time. Walking about downtown Vienna is an absolute pleasure. Our morning WALK takes us through some of the most well-trodden tourist routes in Vienna. We will take local transport to the Staatsoper, the premiere opera and classical music venue in Vienna, and possibly the world. From here we walk, heading north on Kartner Strasse, a pedestrian-only walkway of shops, trees, cafes and buildings of historical and cultural interest. Instantly recognizable along this walk is the Gothic, glorious Stephansdom (St Stephen's Cathedral). This is the geographical and emotional heart of the city. Our stroll down Graben St. takes us past Neo-Classical architectural masterpieces; then we turn onto Kohlmarket and head to Michaelerplatz and its array of architectural sites. As part of our tour, we'll also visit to Treasury of Hofburg. Today our provided meal is lunch, to give everyone the opportunity to enjoy their evening at leisure, perhaps to attend one of the many beautiful concert venues, or even take in an opera. The grandiose city was the showpiece of the all-conquering Habsburg dynasty, which controlled much of Europe for over 600 years. Despite the ravages of time, its cultural gems endure: monumental edifices line the city centre, world-class museums burst with historical and artistic treasures, and internationally established orchestras perform in lavish concert halls. Today we head out of the city centre to Schonbrunn Palace, where we walk through the manicured gardens and enjoy the view from the Gloriet overlook. This enormous Baroque palace was built to accommodate Empress Maria Theresia and her large family. Today the park and its enclosed historic Zoological garden are enjoyed by joggers, walkers, and families with children. The balance of the day is free for you to explore this elegant Imperial capital. You may choose to stroll along the shopping district around Kaertner Street and the Graben and stop at the historic Demel Pastry Shop for a sweet break. Today we travel from Vienna to Cesky Krumlov. Medieval arcades and etched Renaissance facades in apricot, beige, and pea-green shades; rust-red, pink, and golden Baroque buildings surround the town's cobblestone square with a Plague Monument (Morovy sloup) in its centre. Here you can explore the square, the side streets, and the winding River Vltava that separates the Old Town from the towering castle. 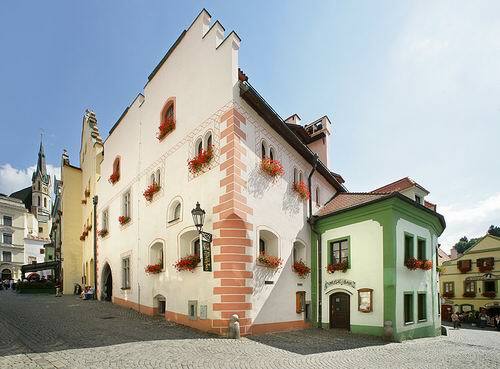 This is undoubtedly one of the most exquisite towns in the Czech Republic. 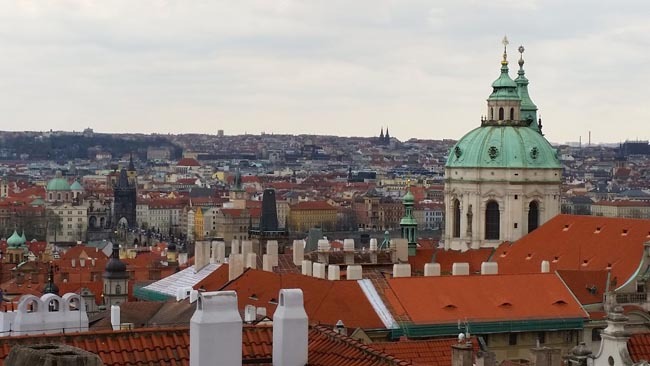 Today we travel to Prague, the magnificent capital of the Czech Republic. Prague lies on the seven hills flanking the banks of the Vltava River with the most outstanding views being from Prague Castle. Sometimes it is called Prague the Golden, sometimes Prague the City of 100 Spires. It is compared with Florence and Rome in its beauty. Thomas Mann said it was one of the world's most magical cities; Goethe called it the prettiest gem in the stone crown of the world. Virtually untouched by war, its architecture is Romanesque, Gothic, Renaissance, Baroque, Rococo, Neoclassical, Empire and Art Nouveau. Schloss Schönbrunn palace is just around the corner from Parkhotel Schönbrunn, and the Vienna zoo is practically the hotel’s front ... 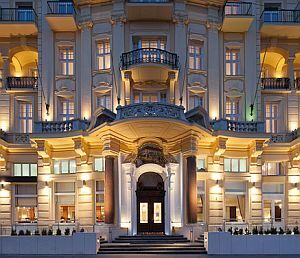 This deluxe hotel is a unique combination of Viennese flair, influences from imperial times and modern comfort. Its excellent location next to Schloss Schönbrunn and vicinity to the underground station as well as its distinctive imperial atmosphere make this hotel unique in Vienna. This trip is offered in spring and early fall when temperatures are mild and crowds are thinner. Showers can occur at any time. Land transport throughout by private air-conditioned motor coach, 24-36 seats depending on ultimate group size (see 'group size'). Though we will have a couple of full bus days there are plenty of stops of interest. Though we do not rate this tour "strenuous", it is a busy program with numerous city / town walking tours featuring uneven surfaces, inclines and / or stairs. You must be able to spend several hours on your feet per day, walking at a leisurely pace. There may not be porters available in all locations. We also make use of public transit in some cities in order to maximize sightseeing where vehicles are impractical (most people quite enjoy this insight into daily life).